Elevation Construction Network is for construction industry related companies who want to increase their sales and elevate their business to the next level. Elevation is an award winning construction industry specific referral marketing (networking) organization, backed by an online portal that helps our members attract and win more work, collaborate, grow and develop their business. 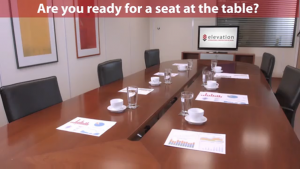 Elevation provides members with the opportunity to network and generate leads in an industry specific environment, with regular expert speakers and member discounts. Members share the same customers but offer non-competing services. Members benefit from the natural relationships between trades.